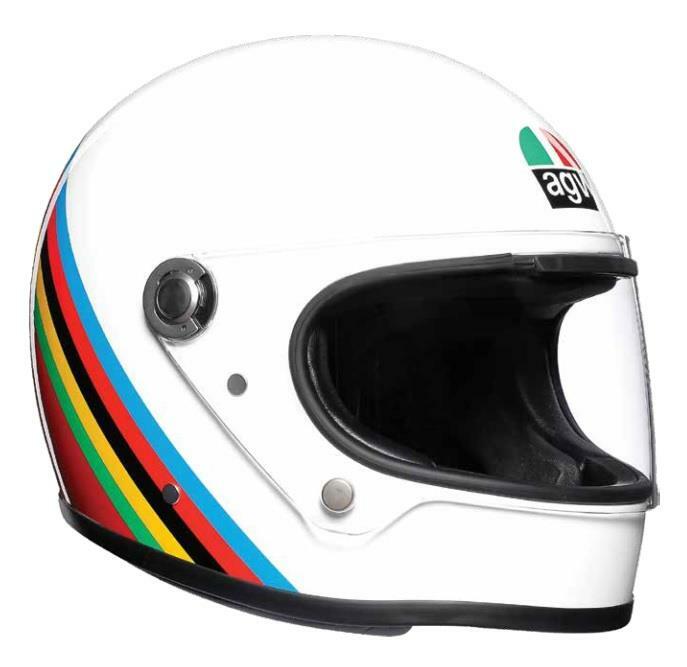 It is made from carbon fiber, just like back in the day when AGV was the first to use this material in helmets. The shell is available in 3 sizes, offering optimal compactness in every size, and the weight is kept down to just 1,290 grams. The molded visor is perfectly airtight and watertight despite its vintage look, with a metal opening mechanism that ensures firm and precise movement. The dual-button fastening can be opened with the left hand alone.